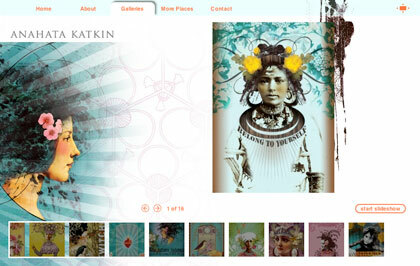 Online Galleries is an application that makes it easy to build your own portfolio website. It is perfectly suited to photographers, artists, galleries and boutique stores. In fact, Online Galleries can be used by any business that needs to show and sell products online. "After going through 4 web designers, I still couldn't control the content of my website unless I had the web master make changes for me and every time that would cost. Now with Online Galleries, I can make changes and import pictures into my online gallery myself. I wish I had found out about you guys earlier." We know how important it is for your site to appear in search engines and to work on portable devices such as iPads and Smart Phones. Online Galleries will automatically configure to the viewing device and will display your website in the appropriate format. With our Google Analytics integration you can monitor your traffic and see what works best for your business. 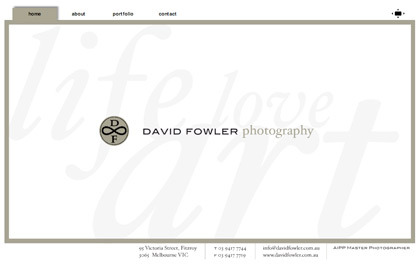 Online Galleries has powerful tools to help you create and manage your website. Specifically designed for photographers, artists, galleries and boutique stores, Online Galleries is the website solution for creative professionals.